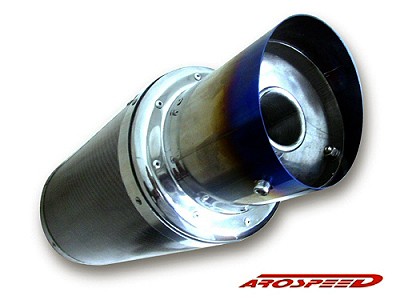 Arospeed Carbon Muffler is made from finest stainless steel with carbon fiber body and blue burn polished stainless tip. Universal fit to any exhaust system. Its dyno tested high-flow design, improve performance and produce a deeper low exhaust note for racing enthusiast. Extra sound reducer stopper allow driver to reduce sound level at any time.